The woman sitting on the bench above Peaks Island’s Spar Cove trained her binoculars on Curt Brown’s lobsterboat as it rocked in big swells a half-mile or so offshore. What was she thinking as she saw two men heave what appeared to be two very shallow, very heavy lobster traps onto the gunwale, then shove them into the sea? Did she wonder what they could possibly hope to catch with those stunted little lobster pots? Stunted little lobsters? Ecologist Richard Wahle and his team set bio-collectors on the sea floor, much as lobstermen set traps. Courtesy of Richard Wahle. Scientists like Wahle believe a combination of factors contributed to the lobster boom at a time when other fisheries were collapsing. For starters, the very decline of those fisheries likely benefitted lobsters by reducing the abundance of predators like cod and haddock. This is a critical moment for research in Maine’s lobster fishery, which contributes more than $1 billion annually to the state’s economy. 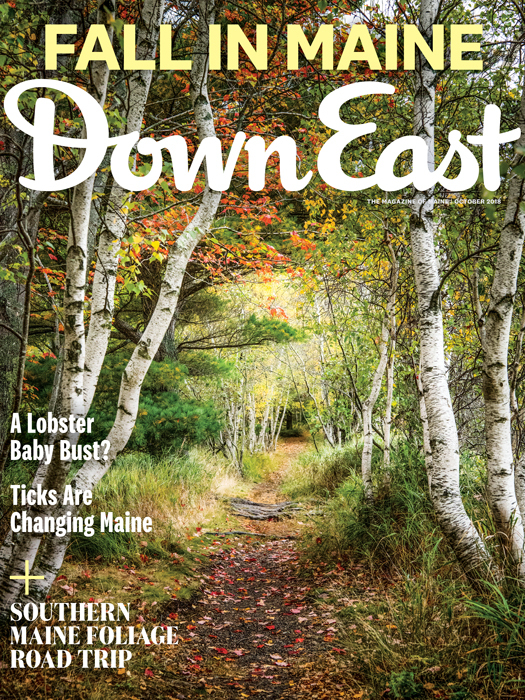 Maine’s conservation efforts — the strictest of any lobster fishery — have almost certainly played a role as well. Key among these are size limits and V-notching: lobstermen toss egg-bearing lobsters back into the sea after notching their tails with a V, a signal to other fishermen that they’re henceforth off-limits, whether they’re carrying eggs or not. But the biggest contributor to Maine’s lobster boom appears to be climate change. 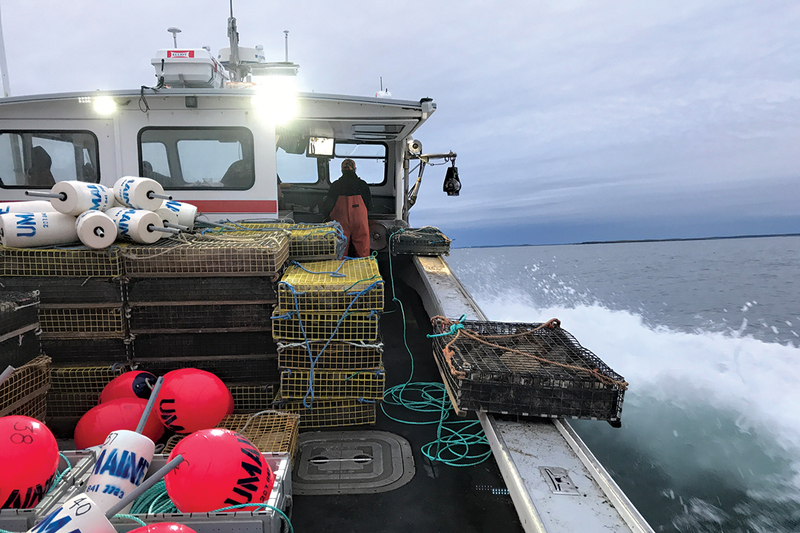 While warmer waters have sent lobster catches plummeting south of Cape Cod, water temperatures in the Gulf of Maine have become ideal for lobsters, particularly from Penobscot Bay eastward. Now, however, scientists and fishermen worry that the water here may be getting too warm. In the two months that followed that muggy June weekend on Casco Bay, the lobster larvae continued to drift. They molted three times. Their delicate, translucent shells turned pale blue, then deep pink. They grew legs, antennae, claws, and muscular, finned tails. Recently, the lucky few that didn’t become fish food settled on the sea floor and looked for places to hide from predators — places like the cobble that filled those funny-looking lobster traps and made them so heavy it took two men to throw them overboard. 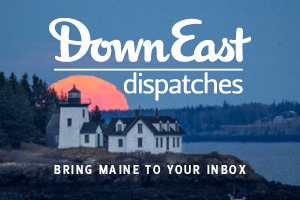 In October, Wahle and his team head back to Casco Bay to collect the crates — they’re not traps, per se, but unbaited “bio-collectors,” lined with mesh to retain whatever’s inside when they’re hauled on deck. 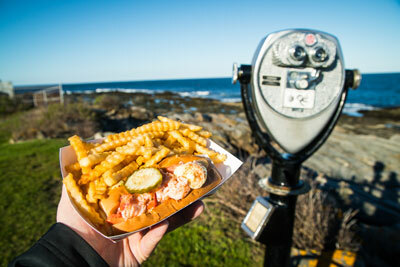 They’ll remove the lids, carefully rinse and remove the rocks, and look for lobsters, as well as crabs and fish. The larger animals will be measured and released. Everything else goes into gallon-size plastic bags and is stored in coolers for transfer to Wahle’s lab at the Darling Marine Center in Walpole, where the contents are sorted, counted, and inspected. Baby lobsters included. 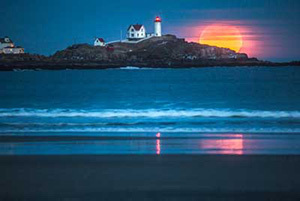 Now, scientists and fishermen worry that the water in the gulf of Maine may be getting too warm. Wahle and his marine scientist peers from Rhode Island to Atlantic Canada have been sending divers to gather data on lobster nurseries since 1989. Every fall, after the babies settle on the ocean floor, divers randomly place plastic frames called quadrats on typical nursery habitat, suction the contents into mesh bags, and send them to Wahle’s lab for examination. Surveying with the bio-collectors in waters too deep for diving, however, is relatively new, and it’s a far more time-consuming and complicated task, requiring vessels to deploy the collectors in early summer and retrieve them in fall.  Launched in 2016, the program currently takes place only in Casco Bay and off the Cutler coast. Tiny baby lobster. Courtesy of Curt Brown. 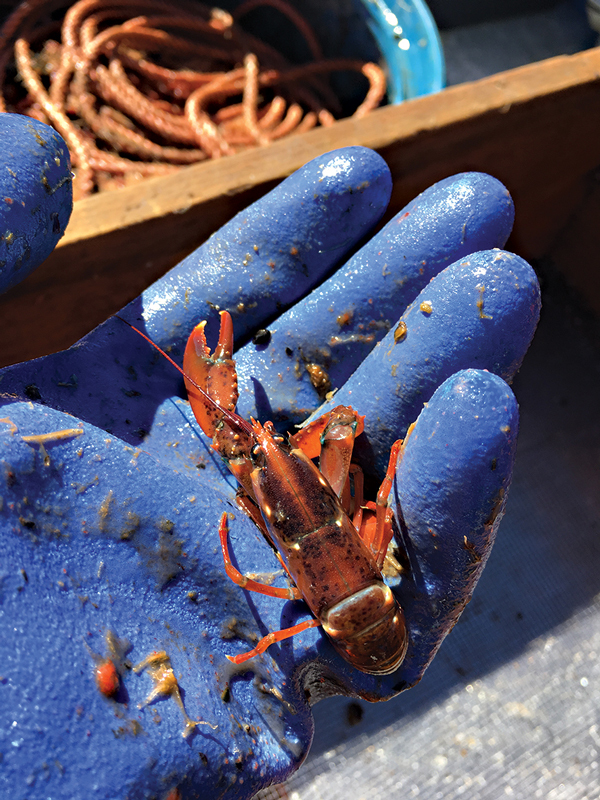 Nursery sampling isn’t the only approach to monitoring lobster populations and health in Maine. The Maine Department of Marine Resources, for example, annually surveys the size and health of lobsters found in commercial traps in nearly 60 ports. 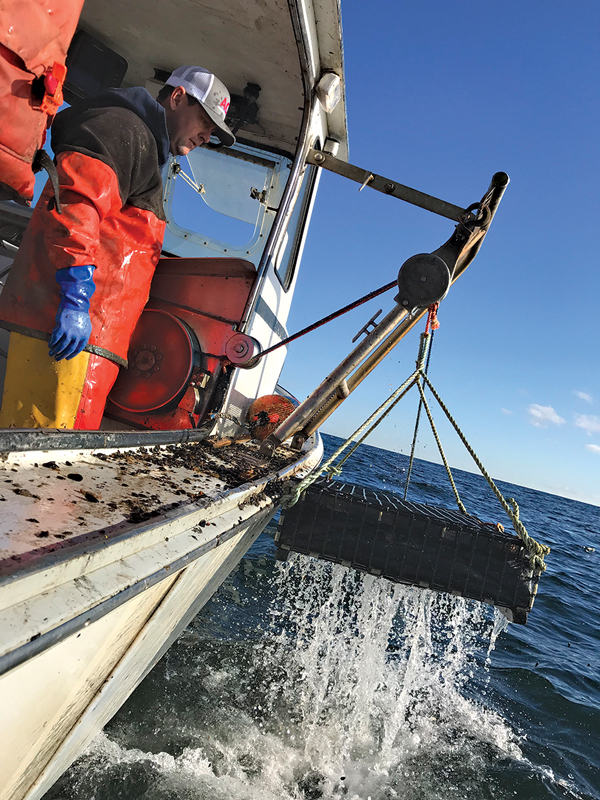 This past winter, Ready Seafood received a $2.25 million Maine Technology Asset Fund grant for construction of a research facility specializing in improving the shipping survival of lobsters. And Wahle’s lab is working with Bigelow Laboratory for Ocean Sciences to study the effect of predicted end-century water temperatures and acid levels on larvae development.